Radiation - Universe Galaxies And Stars Section. Radiation Will Put Human Mars Missions in Jeopardy. Apollo 15 Commander Dave Scott. Image credit: NASA. One of the risks for sending humans to Mars is the lethal doses of radiation coming off the Sun in coronal mass ejections (CMEs). Researchers from the University of Warwick are proposing ways we can fill gaps in understanding about these processes and ensure Astronaut safety. In addition to watching the far side of the Sun for CMEs, and developing detection equipment the astronauts can carry on their spacecraft, the researchers think we need to better understand how CMEs travel in the regions between Earth and Mars. Research published in the journal Space Weather warns that massive gaps in our understanding and monitoring of space weather will effectively block US plans for a manned Mars space mission. The study, led by University of Warwick researcher Dr Claire Foullon, draws on work that Dr Foullon and colleagues carried out for the European Space Agency on radiation hazards and space weather. Dr Foullon points to particular concerns about the radiation dangers of Solar Proton Events (SPEs) particularly those that follow Coronal mass Ejections (CMEs - massive clouds of material ejected from the Sun that produce dangerous, high energy, charged particles). 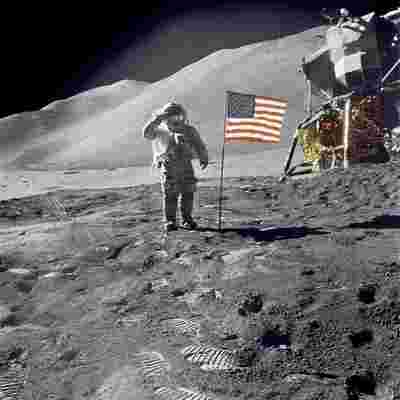 One of the largest such events ever recorded arrived at Earth in August 1972 right between NASA's Apollo 16 and 17 manned missions. Simulations of the radiation levels an Astronaut inside a spacecraft would have experienced during this event found that the Astronaut would have absorbed lethal doses of radiation within just 10 hours. It was simply good luck that this happened between the missions. Since then a number of satellite missions have been able to give advanced warnings of SPE & CME events and revealed much about their workings but that monitoring and understanding today still only relates to a tiny part of our solar system - literally just the line between Earth and the Sun. A manned Mars mission will travel far beyond the boundaries of our current understanding and observation. While we have an increasing understanding the impact of SPEs in and around the Earth we have no idea if the same holds true for the geometry of space around the rest of the changing area between Earth, Mars and the Sun. Nor do we know if the current models of what happens in these events between the Sun and Earth can be accurately extrapolated to understand what happens over the greater distances between the Sun and Mars. Dr Foullon believes those knowledge gaps are currently simply too large and too dangerous to allow a manned Mars mission. Firstly Mars planners should pay particular attention to the Stereo, and the part of the Solar Sentinels programme which will place a satellite facing the opposite side of the Sun to Earth. They should aim to replicate those missions just before a manned Mars mission launch with a package of 3 satellites integrated into a single mission designed specifically to provide space weather warnings for a Mars mission. Two of the satellites in that Mars package to be positioned this side of the Sun like Stereo and one on the other side of the Sun like one of the planned solar sentinels. Another option outlined in Dr Foullon's paper is that one could instead plan a package of satellites with one in a Stereo style position with two satellites in the L1 and L2 Sun-Mars Lagrange points. Secondly there must be considerable research to develop a lightweight mechanism to be installed on the manned mission to give some early warning of dangerous space weather. While we have some clues as to how that might be done the technology is not yet there to deliver a workable solution. Lastly particular attention should be paid to the data from the various upcoming space weather missions to develop a more robust model of how dangerous space weather propagates over larger distances than the "simple" path that we most understand between the Sun and Earth.